Bhopal: A farmer, too poor to buy oxen, was forced to use his two young daughters to pull the plough through his field in Madhya Pradesh’s Sehore, the home district of Chief Minister Shivraj Singh Chouhan who also pioneered the ‘Beti Bachao, Beti Padhao‘ (Save girl child, educate girl child) campaign. Sardar Barela, the father of the two girls, said he was too poor to afford oxen and had to rely on his daughters. 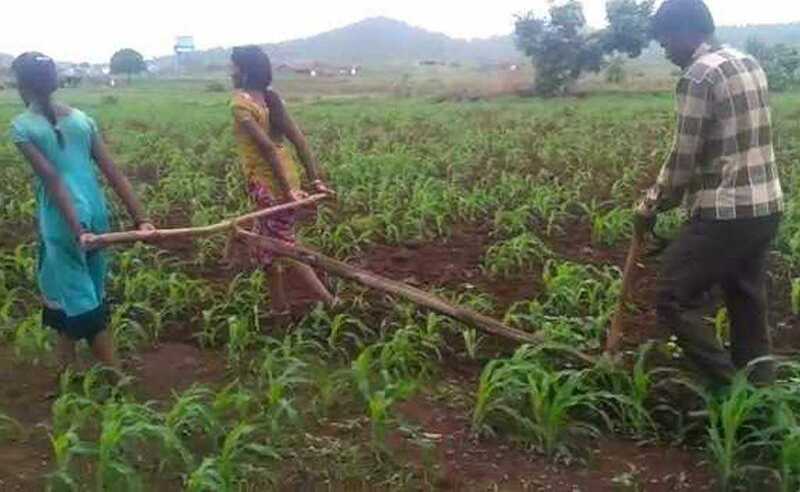 A video footage showing the two girls pulling the plough has led to outrage about the plight of farmers and may finally nudge the state administration to help the farmer in Basantpur Pangri village. “I do not have enough money to buy oxen ploughing,” Sardar Barela said. The farmer said he had tried to educate his daughters but they had to drop out of school after class eight. That was three years ago. “I didn’t have money to pay for the school,” he said. In a district that, according to official figures, has a higher proportion of people under the poverty line than the state’s average. 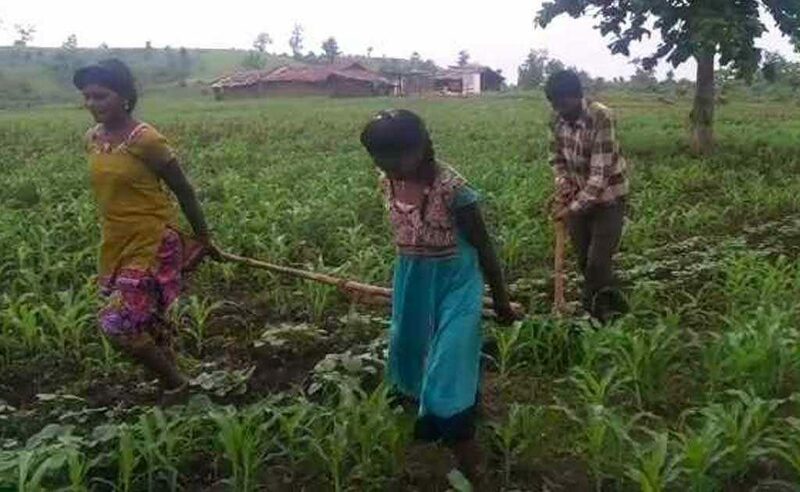 Agriculture, like in many other parts of the state, is the mainstay of people in this tribal-dominated village. Of the 51 farmers to have committed suicide due to financial problems in the last one month alone, the highest, 11, were in Sehore. “This is a very shameful incident for the Chief Minister,” said KK Mishra of the Congress, the state’s main opposition party that has been trying to put the focus back on the farmers after they led the agitation in Mandsaur district, 300 km from Sehore. Six people were killed in the police firing that followed to quell protests demanding a loan waiver. The plight of the farmer and his family, Mr Mishra said, held a lesson for the Chief Minister who must “rethink how the state government should work”. The ruling BJP’s Lok Sabha member Alok Sanjar said the government “will try to provide all kinds of help to the person”. “The authorities concerned must immediately act on this and help him,” he said, singing paeans to the chief minister’s sensitivity to issues relating to farmers. Ashish Sharma, a local government official, said the administration was looking into the matter after the media brought it to their notice. “We will help the farmer as per the rules and regulations,” he said. in Nebraska USA, when my grandfather hadn’t enough money for oxen or mules, it was my grandmother who pulled the plow. circa 1915. Istead of oxen and these poor girls. tie CM Shivraj Singh Chawhan to pull the plough. The Vyapam thief needs a reality check.